In a message to the Prince George's County Public Schools community, interim schools CEO Monica Goldson said Monday that students who request a meal at the lunch line will receive a standard hot entree at their respective school for the rest of this week. WASHINGTON — As the partial government shutdown stretches on, Prince George’s County Public Schools announced Monday night its plan to help affected families who may be struggling to pay to provide meals for their children. 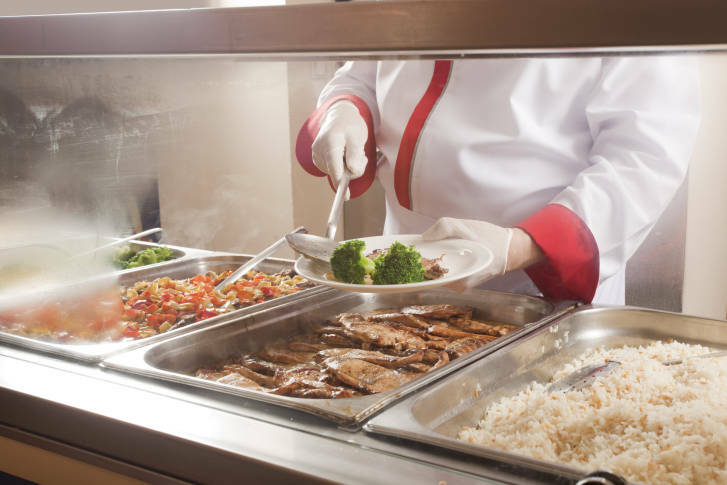 In a message to the school community, interim schools CEO Monica Goldson said that students who request a meal at the lunch line will receive a standard hot entree at their respective school for the rest of this week. Families who temporarily qualify have the chance to apply for the free and reduced-price meal program, Goldson added. Schools will keep track of the free meals given out during the week. As the child of former federal government employees who lived through many shutdowns, I know the strains placed on families and their budgets. The last thing our students need to worry about is how they will pay for breakfast and lunch. So far, no schools have reported any students missing meals due to the shutdown, Goldson noted in her message. Out of 134,000 students, over 83,000 already receive free and reduced-price meals, she added. The cost of a school lunch is $2.75 per day in elementary schools, and $3 per day for middle and high schools. A high school student who eats breakfast and lunch at school every day can pay up to $92 per month. Elsewhere in Maryland, Charles County Public Schools announced last week that it would be increasing the meal credit — given for students who try to buy lunches and have no money — on their accounts during the shutdown. WTOP’s John Domen and Rick Massimo contributed to this report.